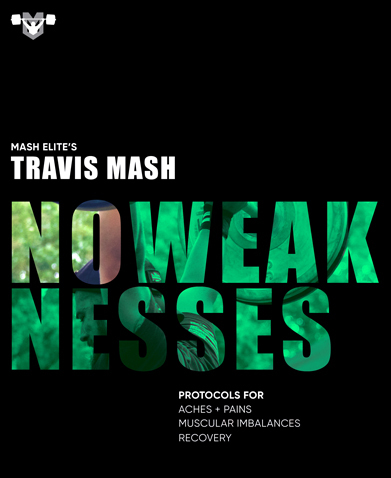 No Weaknesses: Travis Mash's Protocols for Aches and Pains, Muscular Imbalances, and Recovery. Identify and Quantify Your Muscular Imbalances with Travis's 30-Point Test. 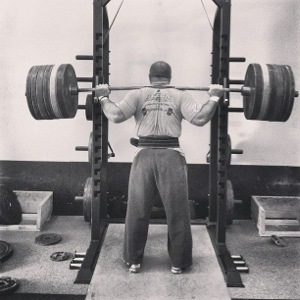 Prevent Injury with Travis's Specific Corrections for Your Individual Muscular Imbalances. Reduce Pain and Maintain Joint Health with Travis's Drills and Mobility Exercises. If you don't feel that the No Weaknesses lived up to your expectations, you'll get a full refund.